A simple cookie recipe that starts with a brownie mix and ends with a kiss. I added white chocolate chips to the dough, but next time I think I will leave them out. 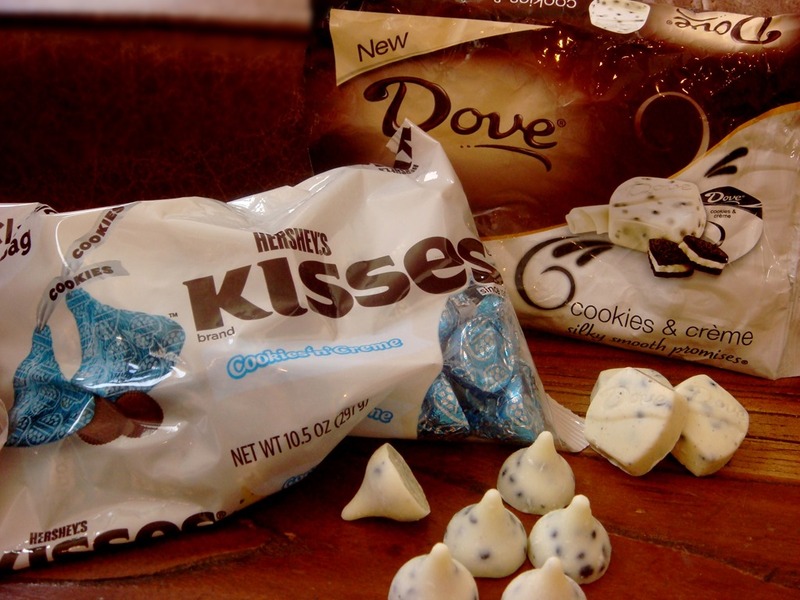 You can use Hershey’s Kisses or Dove Chocolates to top the cookies. When I used the Dove chocolates, I let them melt on the hot cookies and then swirled them with a toothpick into a rounded shape. In a medium bowl, combine brownie mix, cream cheese, butter and egg. Beat with a mixer until smooth. If desired, stir in white chocolate chips. Use a very small cookie scoop (about 2 tsp) or teaspoon to drop balls of dough onto baking sheets. Bake for 10-12 minutes. Do not overbake. Cool cookies for 2 minutes on the baking sheet and then press a Hershey’s Kiss or Dove chocolate into the center of each cookie. Remove to a wire rack to cool. 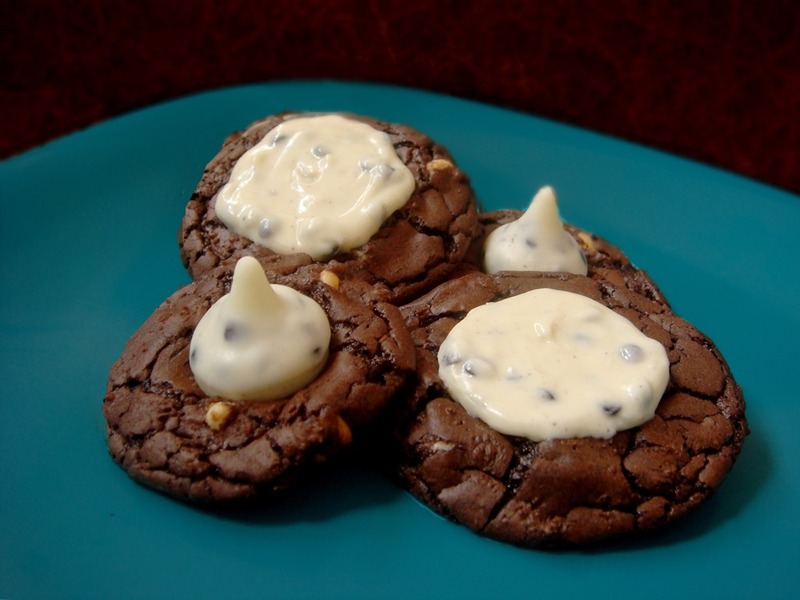 If using the Dove chocolates, let the chocolate melt on the warm cookies and then swirl with a toothpick.